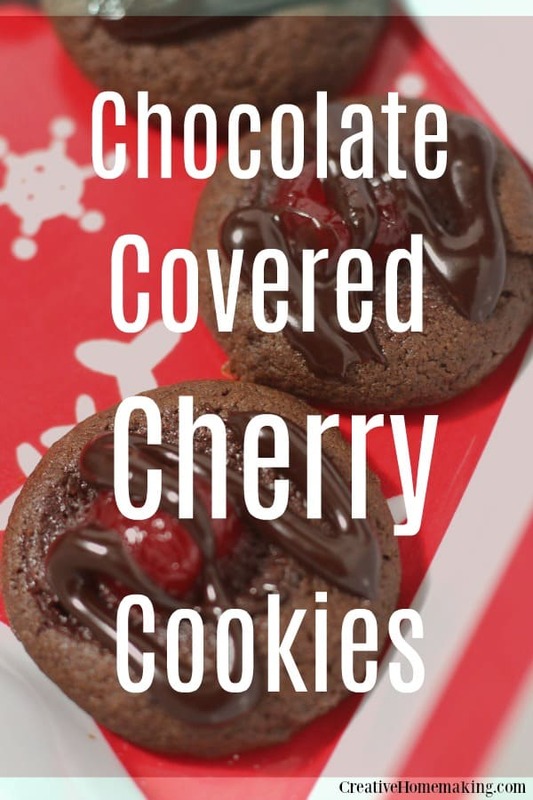 December 16, 2016 0 comments on "Chocolate Covered Cherry Cookies"
I am always looking for great cookie recipes to try for Christmas cookie exchanges and to give away to family and friends during the holiday season. I love to pick cookies of different shapes and colors and flavors to create a variety to choose from. 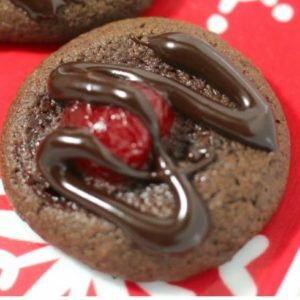 These chocolate covered cherry cookies are very colorful and will be a big hit with people who like chocolate covered cherries. This recipe is definitely a keeper! Beat butter, sugar, and brown sugar together until creamy. Beat in eggs one at a time. Add flour, cocoa, salt, baking powder, and baking soda to the butter mixture. Add vanilla and 2 tsp. cherry juice from jar of maraschino cherries. Refrigerate dough for about 15 minutes. Roll dough into 1-inch balls and place on a greased cookie sheet or cookie sheet lined with parchment paper or a baking mat. Use your thumb to make a small indentation in the center of each cookie. Place a maraschino cherry in each hole. Bake cookies for 10 minutes. Melt chocolate chips and sweetened condensed milk in the microwave. Add 1 tsp. cherry juice. Drizzle over cooled cookies. After the cookies are completely cooled and the chocolate on top has dried completely, these cookies can be frozen for a month or two. Like this recipe? 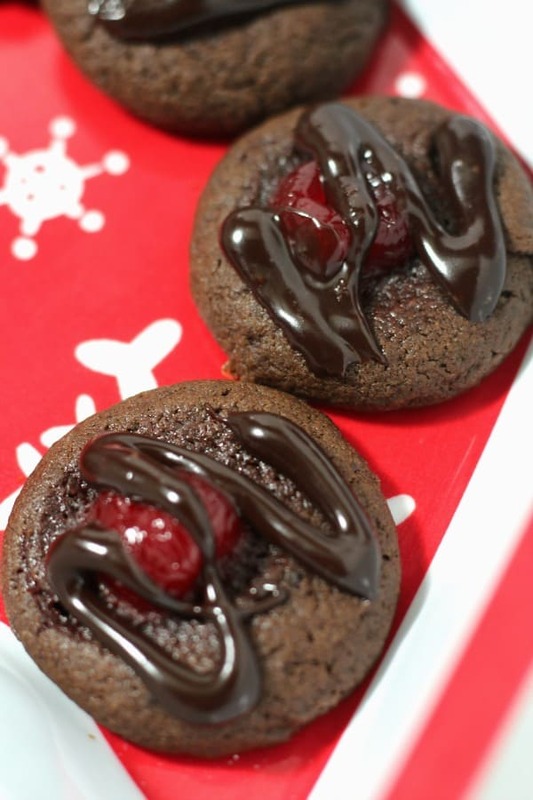 Try my recipe for Andes Mint Cookies. Follow my Christmas and Christmas Cookies boards on Pinterest.